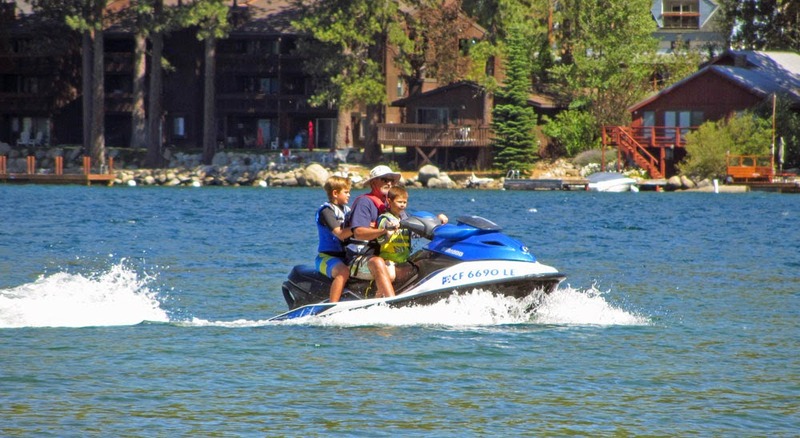 Watercraft inspections begin May 9, 2015 for boaters on Donner Lake. Boaters can purchase an annual, summer season, or Donner Only summer season, and monthly sticker. Inspections and sticker sales take place at the Donner Lake Public Boat Launch near the west shore. A typical inspection takes 5-10 minutes if the boat is dry, clean, and interior holds are easily accessed. Bilge plugs should be removed and not dripping. Inspections will only be available Friday, Saturday, and Sunday until June 1, when inspections will be available 7 days a week. All boats that are trailered, motorized, or have enclosed ballast tanks are subject to inspections. Once the boating season starts, boaters are reminded to get their inspections during off-peak times to avoid long lines. Monday through Thursday and after 1pm are the quietest times for inspections. Boats without inspection stickers are subject to $100 dollar fines for the first offense and up to $500 dollars thereafter. Lake Tahoe inspection stickers are not valid at Donner Lake due to jurisdiction concerns and differing Aquatic Invasive Species. Lake Tahoe opened their inspection stations last weekend. Check the Town of Truckee website for more information or call 530-582-2920.